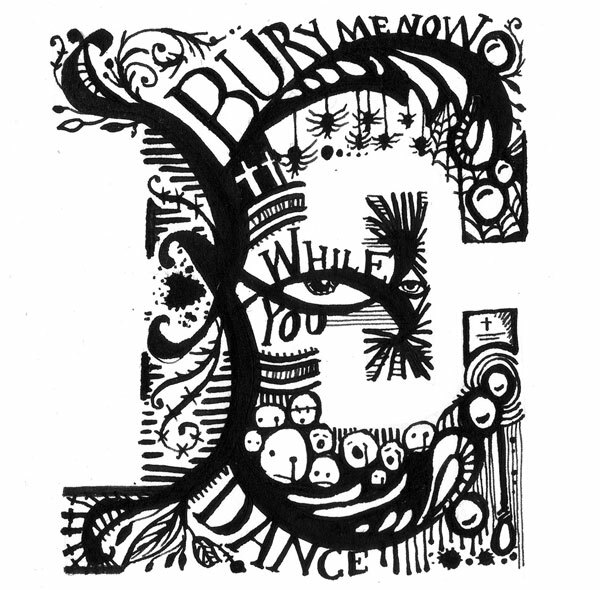 One of the reasons we are enamored by the art of Sarah J. Coleman has something to do with the following: she arrived at a full-time career in illustration and typography via extra time served in the bizarre and magical worlds of pirate radio, lecturing, youth work, theatre and local newspapers. And she is referred to as Inky Mole! The heart of creativity doesn’t get much cooler than that- oh wait, but it does! She also “cut her teeth” at the Royal Shakespeare Company, using the small dark hours to catch up on mounting illustration briefs. Inspired by the penmanship of “a more elegant era” and with “a muscular, if pedantic, grasp of the English language,” she has “wrapped her perma-stained fingers around words and pictures for advertising, identities, packaging, record sleeves and a trillion book covers.” Now into her second decade of creating words and pictures for an international client base, she has held solo exhibitions in London, Leeds, Birmingham, Manhattan and Rhode Island. Being an actor myself in NYC, with a heart-driven love for Shakespeare, this truly speaks to my soul. Sarah’s touring show ‘If A Girl Writes Off The World’, inspired by the words of spoken word poet/Sage Francis, opened at the Truman Brewery, London and toured to Chelsea, NYC and Rhode Island in 2007. 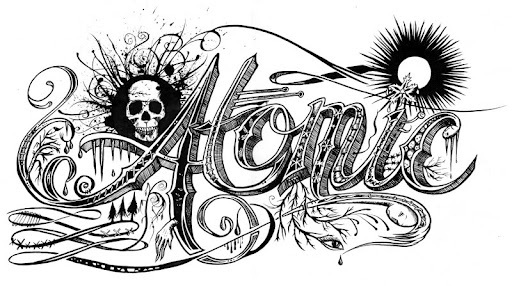 This was created for Sage Francis, for his tour “Hoodies” in 1998. It also became a 15′ banner at my show ‘If A Girl Writes Off the World,’ which toured in London, New York and Rhode Island in 2006/7. The images are inspired by the words to his album Human The Death Dance. 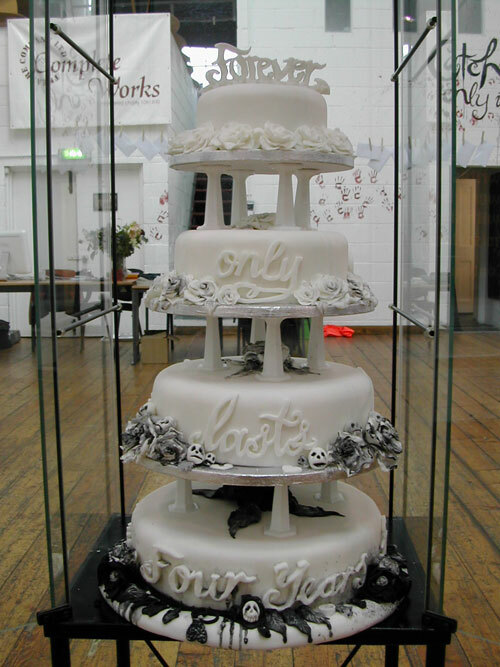 For the same show, I made a 4-tier wedding cake with real icing, colouring, vodka, Tylo powder and polystyrene. The words ‘forever only lasts four years’ are again by Sage Francis, on whose words the entire show was based. 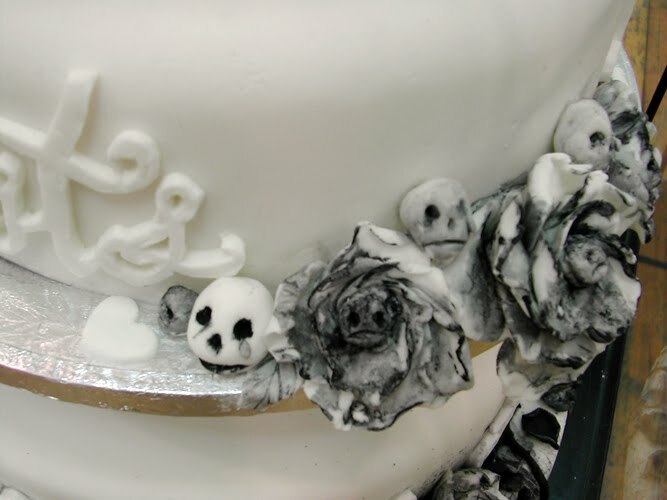 The cake deteriorates from fresh, pretty creation on the top layer to dying roses and sad faces at the bottom. It was 3ft tall. 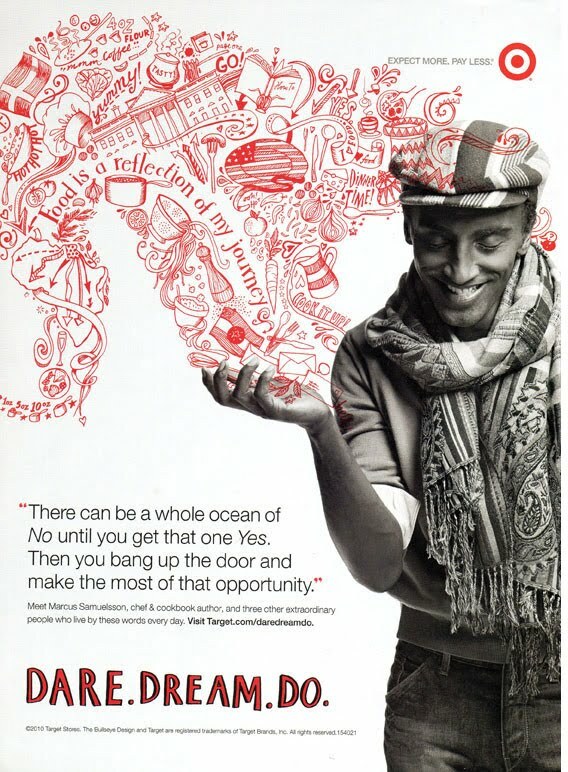 A recent commercial piece for Target, USA. I’ve thoroughly enjoyed doing this project, capturing the personality of each figurehead in vivid illustrations full of movement! The client is Little&Co. – who’ve been brilliant clients to work for. 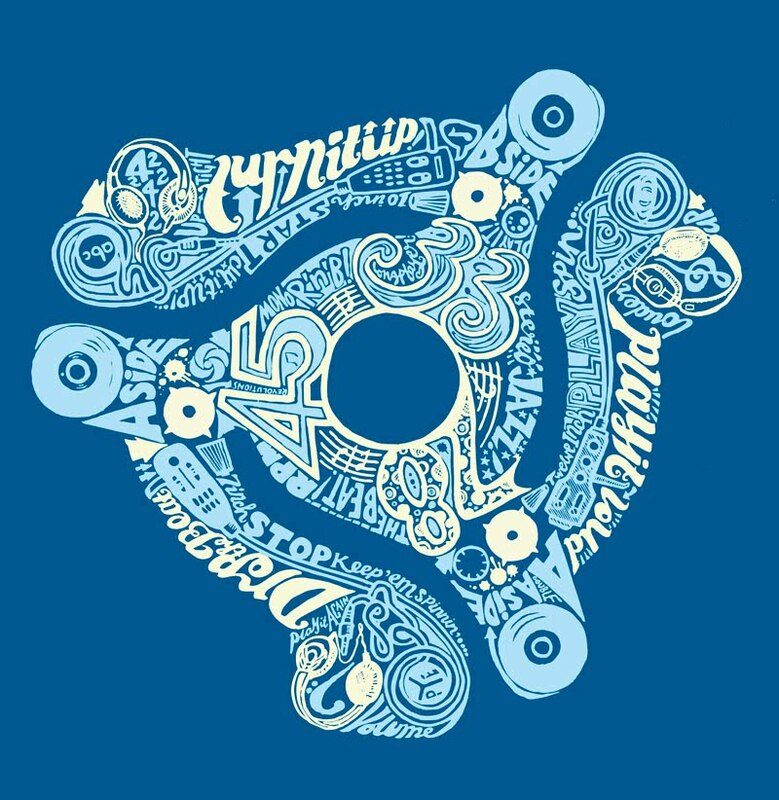 This is our latest t-shirt – we make the 45rpm adapters to our design – and in five different colours – right here in the Midlands. We sell loads in Japan, but you can buy them on the site! This was an unexpected pleasure – it wasn’t used in the end, but drawing this was very absorbing! 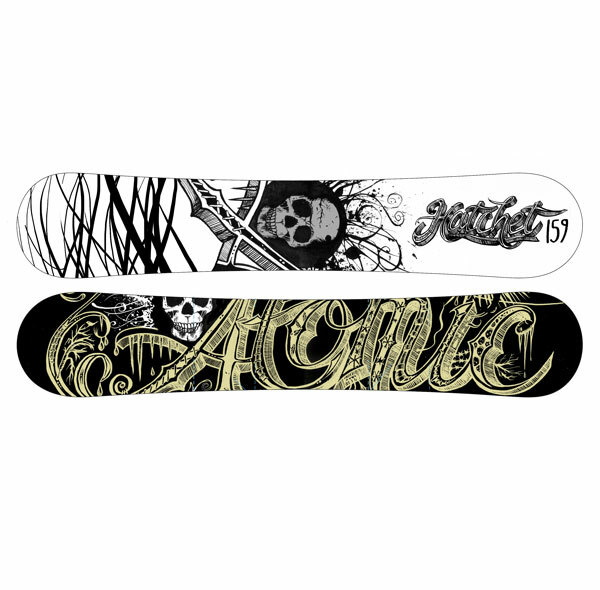 It was for the snowboard brand Atomic, and this snowboard was called Hatchet.